ST. GEORGE – Gov. Gary R. Herbert’s proposed $14.4 billion budget for Utah sets aside some $500 million for new education spending, including $31.9 million which could finally give the Dixie Applied Technology College a home. 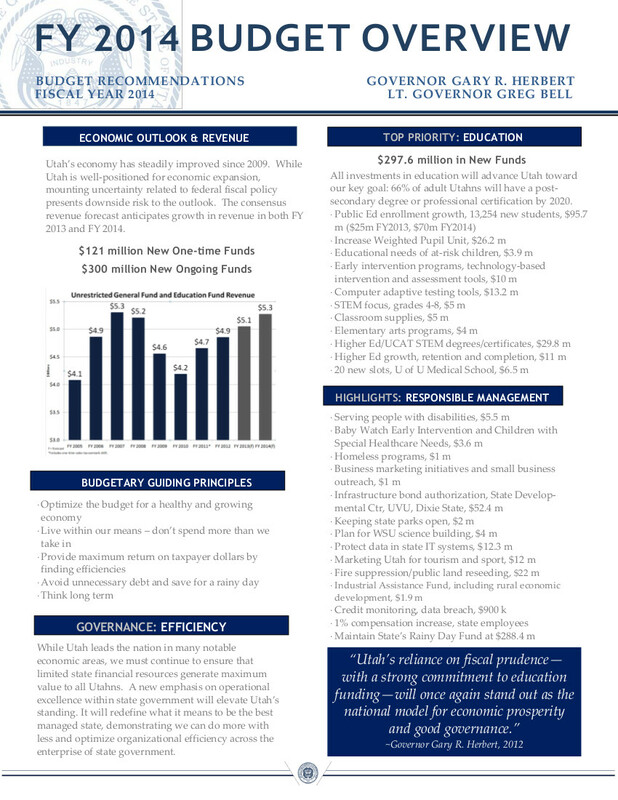 The governor unveiled the fiscal year 2016 budget Thursday morning at a press conference, and spoke to reporters on a conference call Thursday evening. 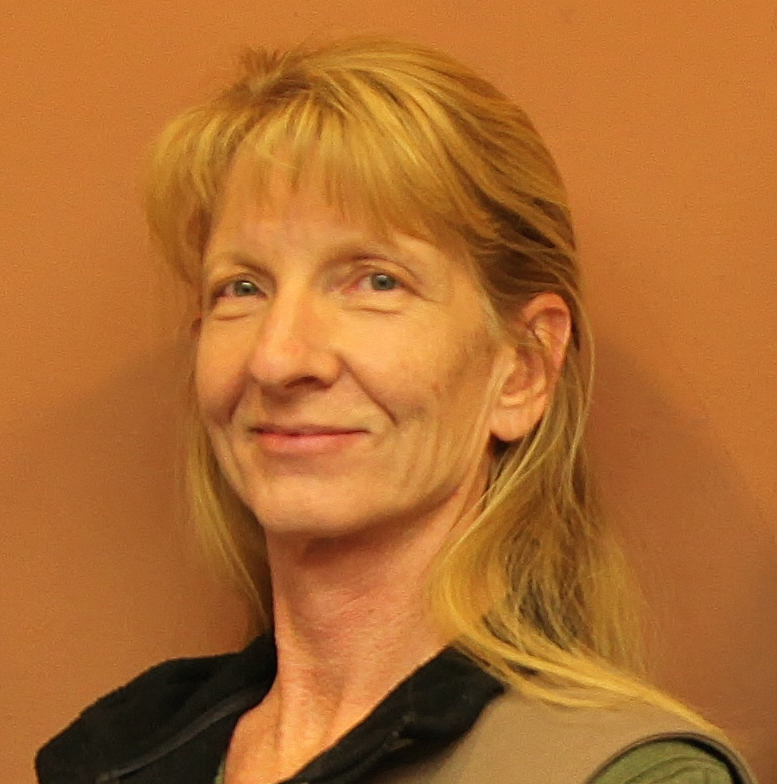 “This funding would give us a permanent home,” said Kelle Stephens, president of Dixie Applied Technology College. The project would be built at the site of the old St. George Airport – the Ridge Top Complex – atop the Black Ridge overlooking downtown St. George. “We hope the building to be 177,000 square feet. The total price tag would be $45 million, $31.9 million from the state, and the remaining $13 million through private sources,” Stephens said. 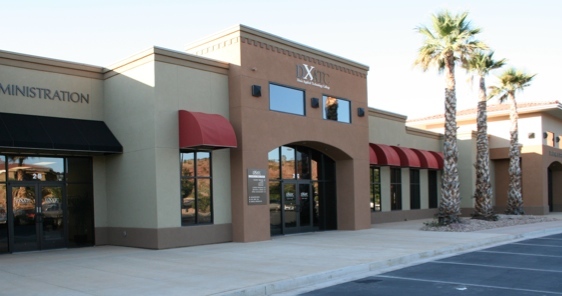 The new building would house all of the DXATC programs in one structure. “Just knowing that the governor saw fit to include our request in his budget is a huge vote of confidence in what we’re trying to accomplish,” Stephens said. If the funding comes through, design work will start almost immediately, and the project could be finished sometime in 2017, she said. The college currently owns 30 acres at the site, 10 of which were donated by the City of St. George. The new building would have two wings, one for industrial programs such as welding, manufacturing, diesel technology, automotive programs, machining, electrical and plumbing apprenticeships and similar courses. The college served 6,400 students last year, both in long-term classes and in short term intensive training such as wildland firefighting. The new building would allow the college to add more in-demand programs such as culinary technology. The kind of technical training offered by DXATC is important because there is a high demand for it, Herbert said. There are jobs that are going unfilled due to lack of skilled workers. “We have jobs that start at $40-50,000 plus benefits, just once you graduate,” Herbert said. The governor is working to find efficiency in state spending, even though the state has a surplus. Herbert’s No. 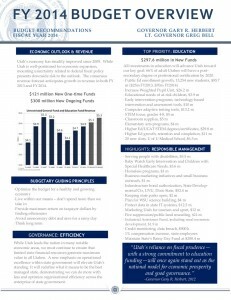 1 budget priority is education, and while he said his “focus” has been on growing the economy, he believes the state cannot have long-term, sustained economic growth without an educated workforce which includes the more technical skills, advanced education, and post-high school education. “And consequently we need to put money in that area,” Herbert said. The proposed $14.3 billion state budget includes $638 million in new funds, $313 million in new “one-time” funds, and $325 million in new ongoing money. In the proposed budget, $311 million of ongoing funds will go towards education. Of that $311 million, $246.5 million will go to public education and $64.5 million to higher education. There is also one-time funding of $191 million dollars in the proposed budget, of which $96.2 million will go to public education, and $94.8 million to higher education. “That’s a total of 502 million new dollars into education,” Herbert said, and that is 68 percent of all the new money the state has to spend. Utah has spent a total of $1.3 billion dollars on education in the last four years of Herbert’s administration. “That’s not an insignificant number,” he said. With state, local and federal dollars combined, the total for education spending will be $5.3 billion this year. This increases the “weighted pupil unit” by 6.25 percent, which is the biggest increase in student funding in the last 25 years, Herbert said. Proposed education spending also includes $58 million for a projected 8,000 new students and $56 million capital outlay, buildings and infrastructure. The new budget would also add to the state’s rainy day fund, Herbert said.